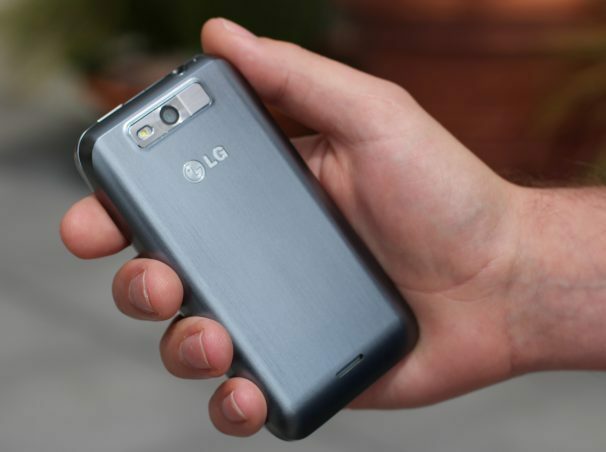 The LG Viper ($100 with a new two-year contract from Sprint; price as of 4/12/12) is Sprint’s very first LTE phone. But the Android-running Viper is a little early to the game: Sprint hasn’t rolled out its 4G LTE network yet. Despite being stuck with 3G speeds, though, the affordable LG Viper packs some high-quality specs for the price. The dual-core processor handled everything I threw at it with ease, the 5-megapixel camera took good pictures, and the addition of Google Wallet is not too shabby. The Viper has a “platinum” rating by UL Environment for its sustainable build and packaging. According to Sprint, the phone’s body is 50 percent recycled plastic. Earth-friendly phones aren’t generally the most stylish-looking models, but the Viper is an exception. The piano-black face is nicely complemented by a chrome border around the phone’s edges. The silver plastic backing has a “brushed” finish, giving it a sophisticated look. It feels a little chunkier than the other smartphones we’ve recently reviewed, measuring 4.59-by-2.44-by-0.46 inches thick, but it weighs a manageable 5 ounces. The 4-inch WVGA display’s resolution is somewhat lower than top-tier smartphones at 480-by-800 pixels (the highest-end Android phones come with 1280-by-720-pixel screens). If you plan on using the Viper only to browse the Web, check e-mail, and do some casual gaming, the display should be sufficient. Like many smartphone displays, the Viper is a little oversaturated. This was apparent in our color bar tests, where the color gradients bled into each other. It tended to wash out skin tones a little bit, too, but it didn’t add a reddish tint, as we’ve seen some AMOLED displays do. The Viper runs Android 2.3 (Gingerbread) with an overlay from LG and Sprint that runs atop it. The overlay is fairly lightweight and looks similar to the vanilla Android Gingerbread interface, but you’re stuck with a dedicated SprintID (Sprint’s app package service) navigation button on the display. Sprint confirmed that the Viper will eventually be upgraded to Ice Cream Sandwich, but the company did not say when we could expect that update. Other than the permanent SprintID button, you can remove pretty much all of the carrier-added software (or, in some cases, bloatware). I wasn’t able to remove SprintZone, but I could remove Sprint NASCAR, NBA Mobile, TeleNav, and other added apps. One useful included application is Google Wallet, which uses the built-in NFC chip in the Viper to let you make payments with your phone. For a complete overview of Google Wallet, check out our hands-on review. I snapped a few photos indoors and out with the Viper’s 5-megapixel camera. My outdoor photos looked pretty good, with clear details and good color reproduction. My indoor photos had a bit of a dark cast to them (see the sample photo) and looked a little grainy in certain areas. The Viper also has a front-facing camera and can shoot video in up to 1080p. As you can hear in the sample video below, the Viper's microphone was very sensitive to wind. Colors overall looked a bit dark, but the Viper could handle fast-moving objects without any artifacting or pixelation. As mentioned, the Sprint LTE network has not been rolled out yet in the United States. Sprint recently announced that it would roll out LTE in a handful of cities in mid-2012, but San Francisco, sadly, isn’t one of them for the time being. When you switch on the Viper, you’ll have to immediately go into the settings and turn off the LTE. If you don’t, the phone will constantly try and search for a non-existent network and drain your battery. Until LTE comes to your city, you’re stuck with 3G. One nice thing to look forward to is that Sprint will offer unlimited data on its LTE network, so you’ll be able to use your data to your heart’s content--without getting throttled. I ran the FCC-approved Ookla Speedtest.net app to measure 3G data speeds in San Francisco. I got an average of 0.92 megabits per second (mbps) for uploads and an average of 1.83 mbps for downloads in various parts of San Francisco. These are pretty good speeds for 3G, but nowhere near some of the LTE 4G speeds we’ve seen on AT&T's and Verizon’s networks. For example, the Nokia Lumia 900 achieved an average download speed of 13.27 megabits per second and an average upload speed of 7 mbps in San Francisco. 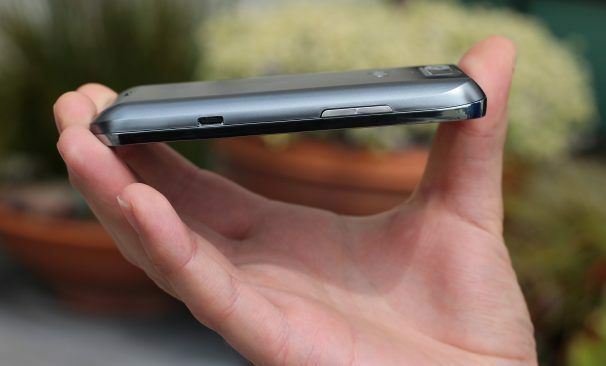 The Viper might be a “budget-friendly” phone, but it’s no slouch. Powered by a dual-core 1.2GHz Qualcomm Snapdragon S3 processor, the Viper felt snappy throughout the user interface. I loaded a couple of graphics-heavy games on the Viper including Osmos, Edge, and the World of Goo. All three games ran smoothly, without any issue. I also ran two different benchmarks on the Viper: Qualcomm’s Vellamo benchmark and the third-party Quadrant benchmarking app. According to Quadrant, the Viper got a score of 3009, considerably higher than the Samsung Galaxy Nexus, which got a score of 2000. On Vellamo, the Viper scored 1221, which also put it ahead of the Galaxy Nexus. Call quality over Sprint’s network was okay. The Viper was extremely sensitive to external noise, such as wind or passing cars. On a particularly windy day in San Francisco, I couldn’t hold a conversation without my friends on the other end asking me to repeat myself—the wind had completely overpowered my voice. Indoors, the Viper did a lot better. My friends’ voices sounded clear and natural, while they reported that they could hear me perfectly. We have not yet completed our formal battery tests, but we will update this review once the results are in. In my hands on use, however, battery life wasn’t very good on the Viper. It seemed slow to charge, and I had to plug it in twice during a full day of fairly heavy use. The LG Viper is a solid introduction to Sprint’s incoming family of LTE phones—even though there isn’t a Sprint LTE network yet. The Viper might not be a top-of-the-line smartphone, but its dual-core processor keeps it running smoothly, and the camera snaps solid photos. But the Viper seems as if it is jumping the gun a bit. Being stuck on a 3G network with an LTE-capable phone is a little sad; and while Sprint did say the Viper will get the Ice Cream Sandwich upgrade, there’s no telling when that will be. If you don’t mind waiting for Sprint to switch on its LTE network (especially if you live in one of the first few cities on Sprint’s roll-out list), the Viper is a good choice. If you’re looking for higher-end LTE phones on Sprint, you might want to wait a bit and go for the incoming HTC Evo 4G LTE or the Samsung Galaxy Nexus.